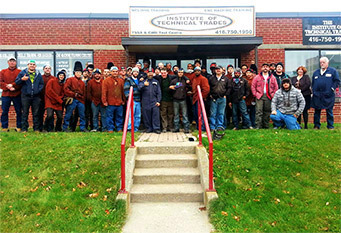 Our purpose at the Institute of Technical Trades Toronto is to provide a highly educational and rewarding experience for our students and provide them with real vocational skills. The technical trade programs are designed to purely serve students and industry professionals, who are looking to learn a new skill or enhance their careers. The Institute of Technical Trades Toronto is an adaptable, quality-driven technology training center, dedicated to improving the future for everyone in the communities we serve.